The UK government has admitted “there could be disruption to some flights” should the EU not grant UK carriers permission to operate following a no-deal Brexit.. In a guidance document published today (September 24) forecasting the outcome of a no-deal scenario, the government predicted that should an aviation agreement not be struck, UK and EU licensed airlines would lose the automatic right to operate air services between the UK and the EU without seeking advance permission. In this situation the government said it “would envisage granting permission to EU airlines to continue to operate” and as a result, “would expect EU countries to reciprocate in turn”. “It would not be in the interest of any EU country or the UK to restrict the choice of destinations that could be served, though if such permissions are not granted, there could be disruption to some flights,” the report said. “In the scenario where a provisional deal is agreed for air services, airlines will continue to be required to apply for the following associated permissions,” it added. 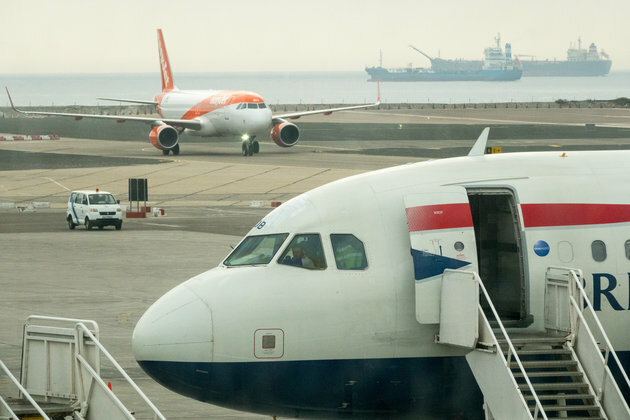 In the wake of a no-deal Brexit, UK-licensed airlines would need two associated permissions in order to operate to the EU with the carrier requiring permission from the national authorities of the countries to which they operate. Airlines should start consulting the national aviation authorities within the relevant EU countries for details of how they grant foreign airlines permission to operate, the report explains. For airlines licensed outside the UK and the EU, their eligibility to operate air services to the UK will still be determined by the Air Service Agreement (ASA) between the UK and the state in which they are licensed. For airlines from one of the 111 non-EU countries with which the UK already has a bilateral ASA, including China, India and Brazil, there will be no change to flights. For airlines from one of the 17 non-EU countries where air services to the UK are currently provided through the UK’s EU membership, “replacement arrangements will be in place before exit day [March 29]”. “The UK is working closely with these countries to agree replacement bilateral arrangements designed to come into force as soon as the EU-negotiated agreements cease to apply to the UK. “The UK has already agreed a number of these agreements, and is confident the remaining agreements will be agreed well in advance of the UK leaving the EU,” says the government. According to the report, UK operating licences issued before Brexit would remain in place and valid as a result of the EU Withdrawal Act. After Brexit, the government has said it would not impose nationality restrictions on the conditions for an operating licence. However, UK carriers would also need to consider whether the nationality and level of investment of their shareholders is permitted under the conditions of the ASAs under which they operate their services. Slot allocation at both UK and EU airports would remain unchanged and retained by the EU Withdrawal Act. When considering the rights of air passengers, the guidelines state that consumers flying on services departing the UK will enjoy the same as those which apply today with EU passenger rights legislation will be retained in domestic law by the Withdrawal Act. This covers aspects such as passengers who are denied boarding, delay or cancellation, being entitled to assistance and compensation on the same basis as they currently are. The report also states that “UK consumer protection in the event of insolvency of a travel provider would continue to apply”. After Brexit, the UK would also remain a full member of European air safety organisation Eurocontrol and a contributor to its functions and services. Although, the UK would no longer be able to directly participate in the EU’s SES initiative, which was designed to increase the efficiency of air navigation services across the EU. The report states that in spite of this, the UK would continue to work through Eurocontrol to “ensure the safe and efficient management of airspace across its 41 members”. “The UK will continue to lead the way in providing safe and efficient air traffic control services. In addition, the Withdrawal Act would preserve existing EU safety, airspace, and interoperability regulations in domestic law,” the report states.